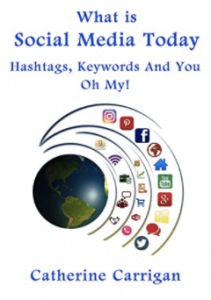 Want to know how to best use social media marketing to skyrocket your book success? Listen as Catherine Carrigan, social media superstar, shares how to use social media to market your book like a rock star. Catherine Carrigan is the author of four Amazon #1 bestselling books. 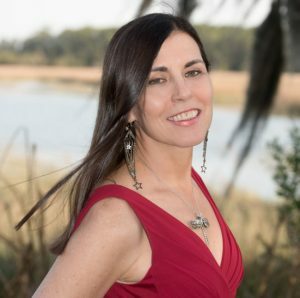 She became a social media entrepreneur and authorpreneur after the publication of her second book, What is Healing: Awakening your Intuitive Power for Health and Happiness. Catherine started in social media just to get the word out to people around the world about the important work outlined in her books. Because she found social media so much fun and so effective, she decided to develop a social media marketing training business together with Ramajon Cogan. They help entrepreneurs and authorpreneurs who are not financially successful because of their lack of a consistent social media marketing approach. 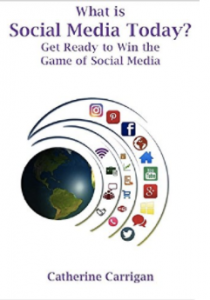 Together, they created a system called the game of social media designed to help you skyrocket your business and books to a new level of success. Q: Catherine, how does an author get started if they want to use social media to market their book? A: I think the number one thing that authors need to do, is some thorough research about keywords. So what is a keyword? If you go to Google or YouTube or any of the other search engines, trying to find something or someone, they’re going to type in certain words and or phrases. If you start your social media without understanding what your readers and customers are actually looking for, you are basically shooting blanks in the dark. When people sign up to work with us, the first thing that we do is help you identify what your keywords are. When you understand what your keywords are, you incorporate them into the actual writing of your books. You put keywords in your chapter titles. You use your keywords in the actual title of your book. You want to actually think like a consumer when you’re writing your books and when you’re creating your social media so you know what people are looking for. And then when you have your keywords, then you create your hashtags. You have to understand what it is that people are looking for and incorporate that in every post when you use social media. Otherwise, you’re just wasting a lot of time and a lot of energy and you’re not going to connect with the people who actually need what you have to say. To contact Catherine Carrigan for more information about her services.